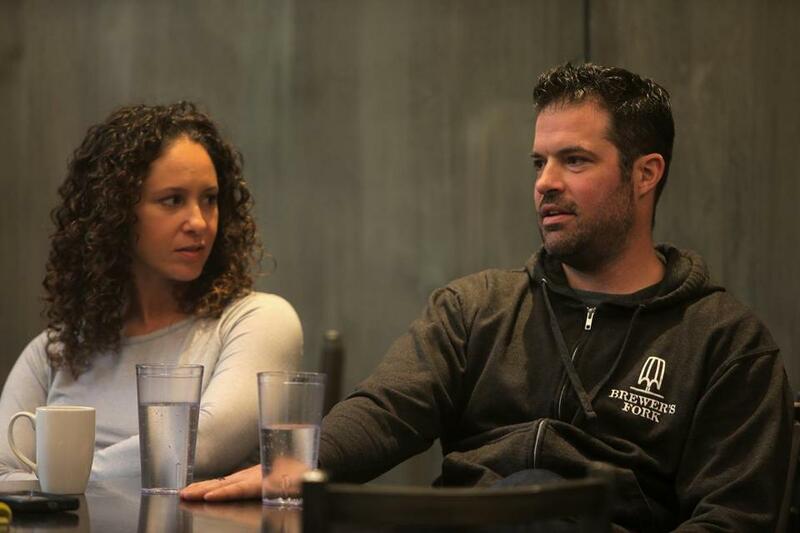 Esther and JC Tetreault, owners of Trillium Brewing Co., are vastly improving wage levels after being roundly criticized over how — and how much — they pay workers. This should have been a time to celebrate for JC and Esther Tetreault. The Trillium Brewing Co. founders finally opened their restaurant in Fort Point, a showcase location in a hot neighborhood. But the couple behind one of Greater Boston’s buzziest craft beer brands soon learned hard lessons about the hazards of rapid expansion. Trillium was pilloried online last month after word got out that two employees saw their base hourly pay cut from $8 an hour to $5, the level for newer retail workers. A third affected employee left before it took effect. The pay cut was one thing. (The Tetreaults said it was a mistake and quickly reinstated their previous pay scale.) Perhaps even more egregious to many consumers: Trillium’s retail workers were paid like bartenders, as tipped employees. It’s not illegal. But to many, it was a surprise. The tap opened up, and the negative comments poured in. Now, the Tetreaults are trying to win back lost fans and show how much they care for their staff. Effective immediately, Trillium’s retail employees will be paid $15 to $18 an hour and can still earn more in tips. That’s a big increase from the $5 or $8 in base pay those 37 workers had been earning. “We need to make sure our team is taken care of,” Esther Tetreault said. As a result, the Tetreaults will scale back the pace of their expansion plans in Connecticut. They recently bought a farm in North Stonington, with a vision of opening a brewery and event space there. They’ll move more slowly with that project, they say, because of their newfound labor costs. They’re also embarking on other HR changes: more professional development for employees, and a switch to merit-based, quarterly bonuses from annual, tenure-based payouts. Those moves, they say, were in the works for a while. The brouhaha around retail pay has caused some soul searching. The Tetreaults say they need to get better at reacting to criticism. They’ve learned the importance of open lines of communication — of how to best convey what they’re doing and why to their employees and their customers, when they can. They say they’ve built Trillium, since its launch in 2013, around a culture that supports its team members, with this increase in pay being one example. But the episode should serve as a sober reminder: Your products are important, but the people behind them are at least as valuable, if not more so.